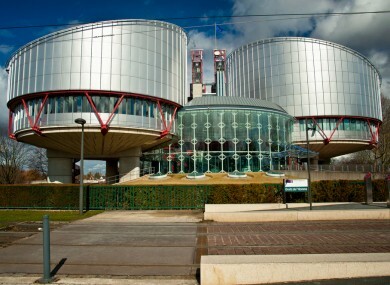 THE EUROPEAN COURT of Human Rights (ECtHR) has ruled that the temporary release programme in Irish prisons does not undermine the justice system. The case, brought forward by Paul Lynch and Peter Whelan, contested that their imprisonment was in violation of their rights to liberty and security, protected under Article 5 of European Convention on Human Rights. Lynch and Whelan contended that most life prisoners in Ireland were eventually granted temporary release by the executive. The applicants argued that when the Minister for Justice considered cases of temporary release, prevention and risk were both factors. The two men made the point that their sentences should be considered as preventative rather than a punitive. It was argued also that the executive’s role in determining temporary release undermined their right to a fair trial. In ruling against the applicants, the ECtHR found that preventative detention was not part of Irish law. The life sentences handed down to the two men were given out as punishment for their crimes, it said. It was also found that the role of the judiciary in fixing sentences was not in anyway undermined by the actions of the Justice Department. Granting of temporary release by the Minister for Justice did not terminate a life sentence. The ruling made by the court related to Lynch’s case. The case lodged by Whelan had been put forward outside of the six month time limit and was rejected by the court. Paul Lynch was sentenced to life imprisonment in 1997 for the murder of Donegal pensioner William Campbell in September 1995. Peter Whelan is currently serving a life sentence for the murder of Nicole Sweeney in 2002. He is serving a concurrent sentence for the attempted murder of Sinead O’Leary on the same day. The two men had previously appealed their cases to the High Court in 2007 and the Supreme Court in 2010. Email “European court rules against Irish murderers fighting life sentences ”. Feedback on “European court rules against Irish murderers fighting life sentences ”.